Today Jordan and I got up early, brewed coffee, and took a two-mile walk on a nearby walking trail. Our favorite part was that the trees all had little signs on them telling you what they were! Did you know that the sycamore tree’s scientific name is “Platanus Occidentalis?” Me neither! When we came home, the mail was here, which was exciting because not only did Jordan’s diploma arrive (YAY, JORDAN!) but so did my recent purchases from JoAnn’s! Sweeeeeet! I’m not going to tell you what they’re for! Ha! Jordan then snuggled up with Sora in bed and spent some time reading “Paris 1919: Six Months That Changed The World.” He likes history. And I like him! 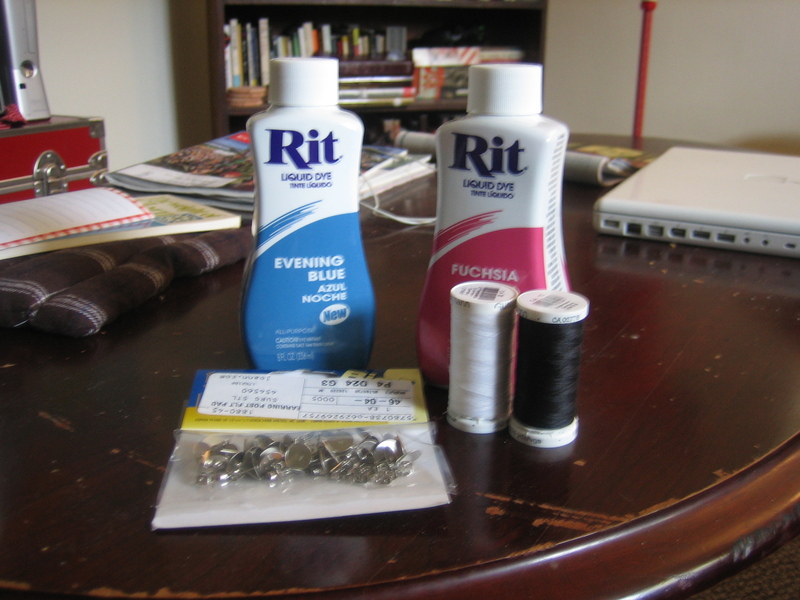 While he and Sora read, Sisko and I decided to do some hand-sewing. The little girl in this picture is having a birthday soon and I wanted to send her something for it. 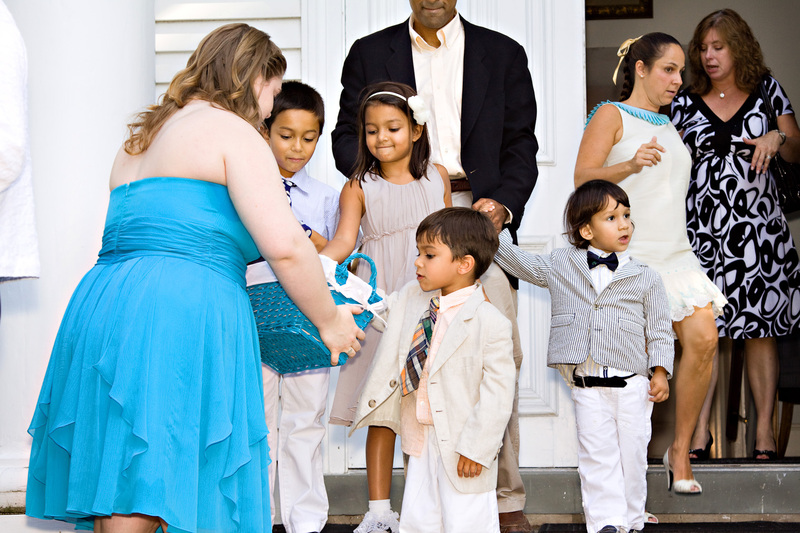 I break out wedding pictures at every available opportunity. She recently acquired an American Girl doll so Caity, who used to nanny for these precious children, thought it would be great if I made a matching gift for Anna and her doll. Having had an American Girl doll growing up (and now having her, her horse, her trunk, her shopping cart, her lazy boy, and 1,659 outfits for her in my parents’ attic,) I was all for it. 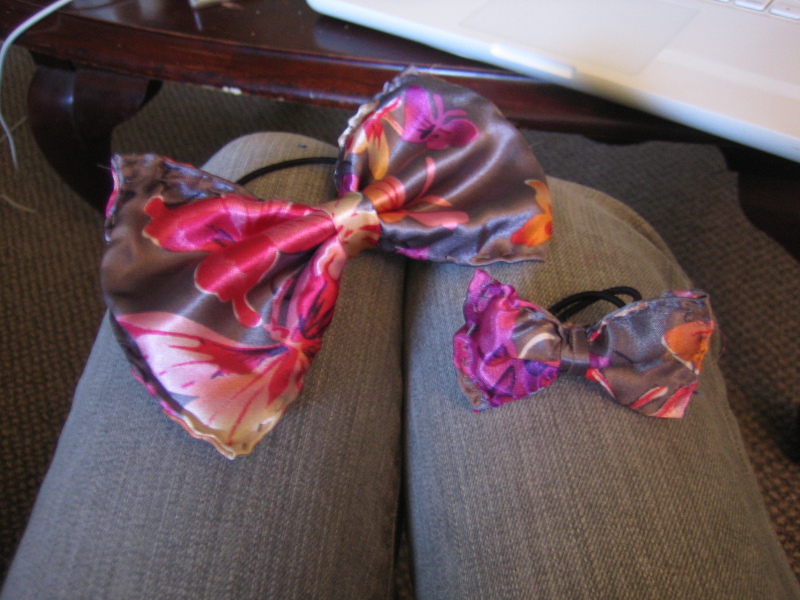 I dug up the remaining portion of my butterfly fabric and set to making hair bows. 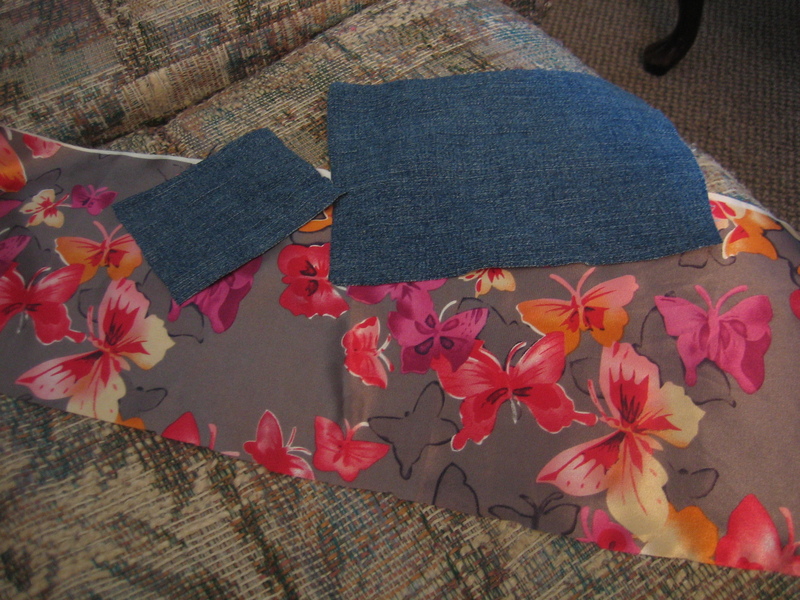 First, I cut a long rectangle out of the butterfly fabric (which would be cut into two smaller rectangles shortly after the picture was taken,) a large denim rectangle and a smaller denim rectangle. 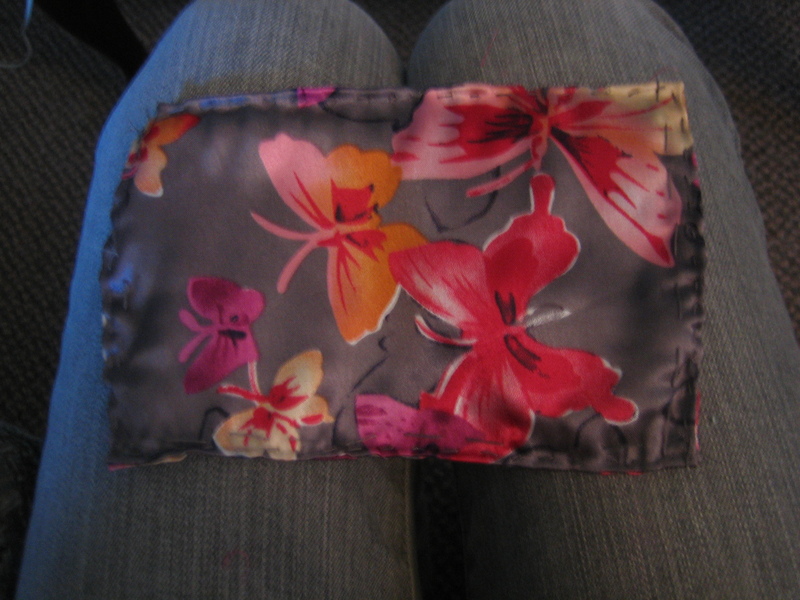 Then I hemmed the edges of the first butterfly fabric rectangle. I tore these stitches out at the end because they were only temporary. Good placement of the butterflies, right? 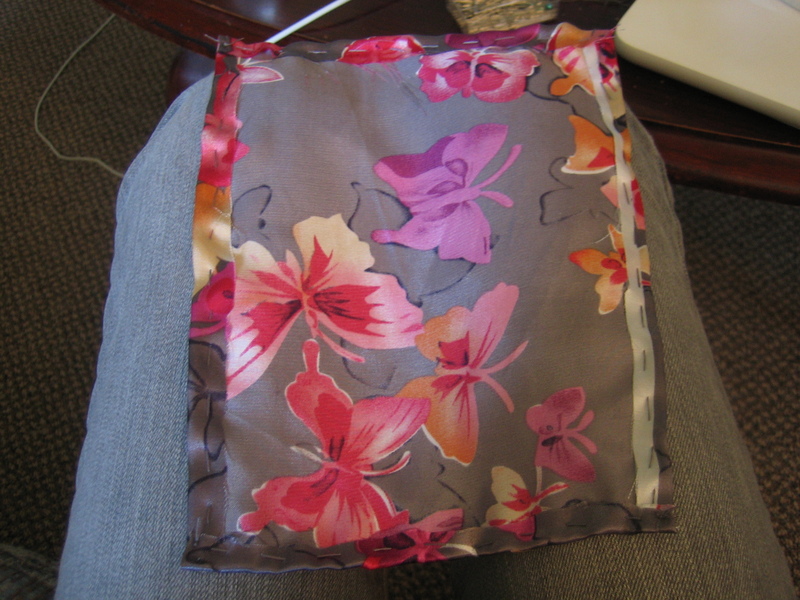 Finally, I tore out the basting stitches then placed a hair tie at the back, pinched the rectangle around it, and wrapped it up with a strip of butterfly fabric. (And then did it all over with the smaller bow.) Tada! Craft 8 of 52: Complete! I hope Miss Anna likes them! 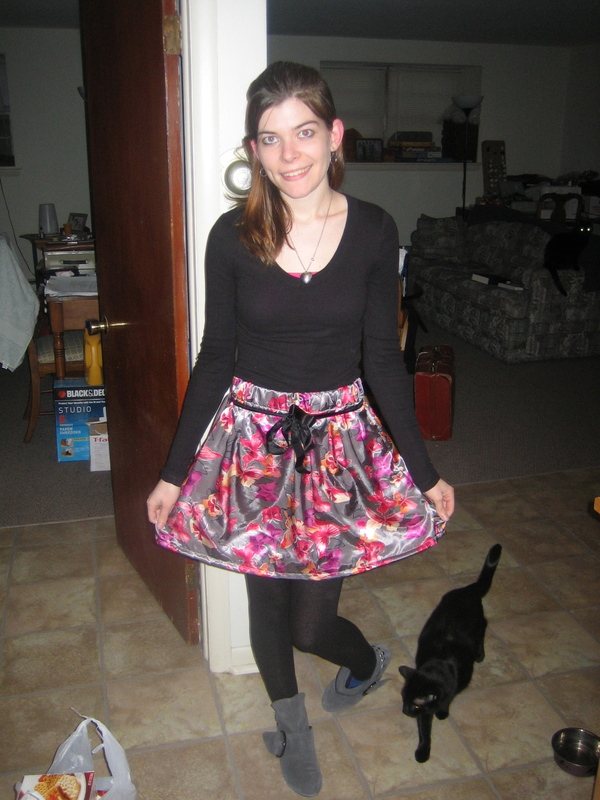 Also, here’s a picture of me in my butterfly skirt. It’s one of my favorite articles of clothing I own now! I’m not sure why I look bemused. That’s all for now, guys! Enjoy your weekend! I LOVE all of your craft ideas! You are AMAZING! 🙂 I think you should make a bow for yourself out of the same fabric because then it would match your skirt!